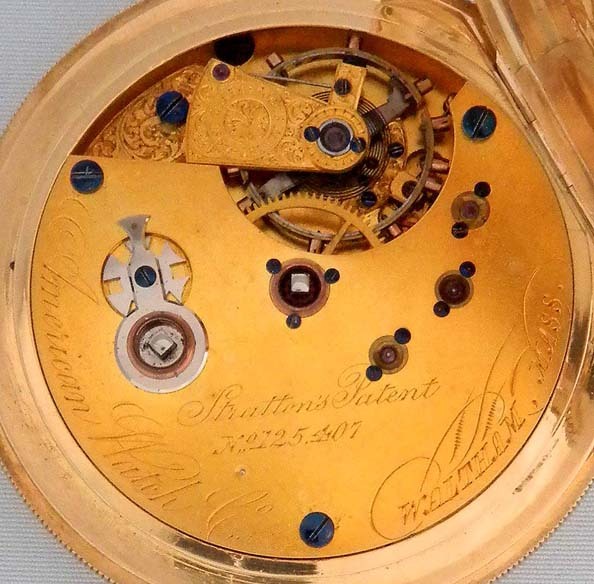 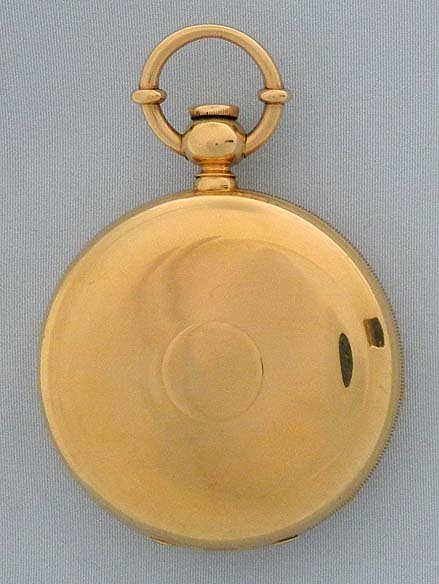 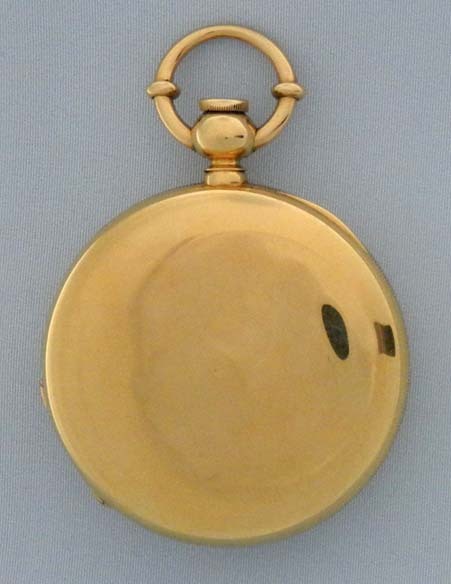 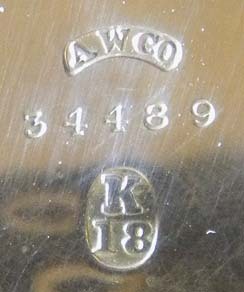 Fine and rare 18K gold Waltham vibrating hairspring antique pocket watch circa 1864. 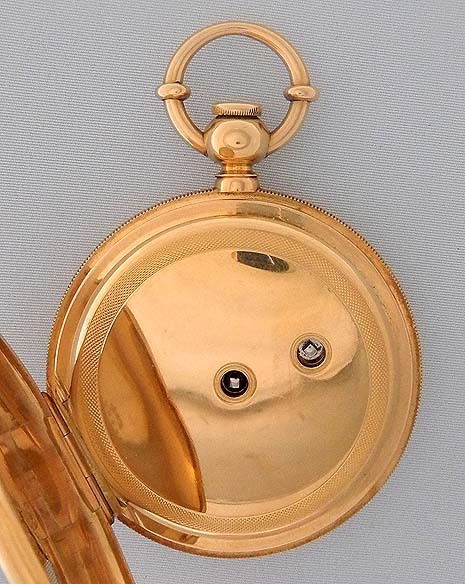 Wonderful gilt 3/4 plate 19 jewel 16/S movement with screwed jewel settings, the vibrating stud arm also jeweled. 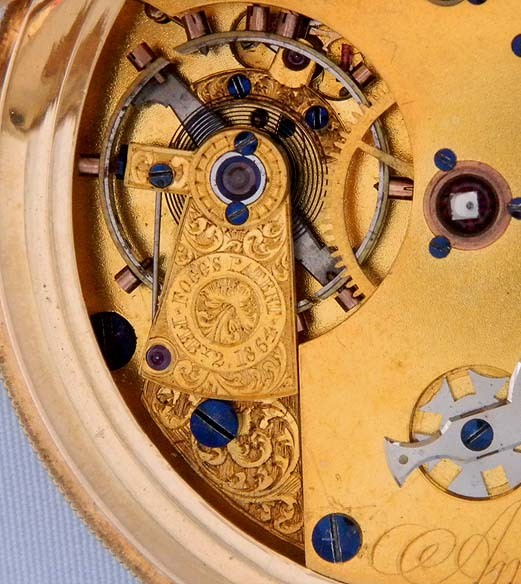 Heavy case with the engine turning worn off. 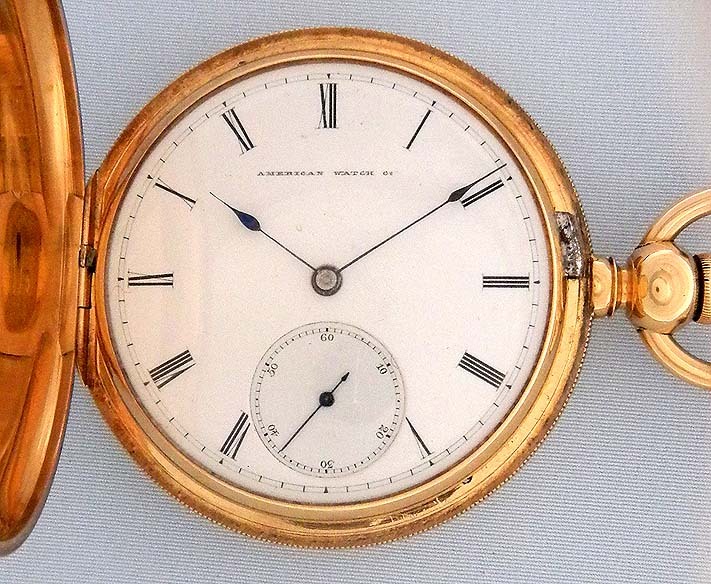 Fine white enamel dial with blued steel hands.